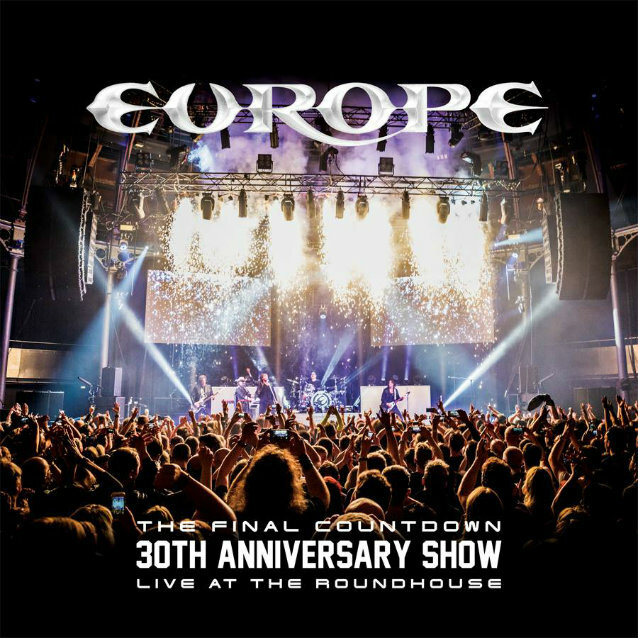 On July 21, Swedish hard rock veterans EUROPE will share their unique 30th-anniversary performance of "The Final Countdown" from London's legendary Roundhouse. "The Final Countdown 30th Anniversary Show - Live At The Roundhouse" celebrates the multi-platinum album's triple-decade success. The band played the album in its sequential entirety at a series of selected cities in 2016, with London's most historically venerated venue playing host to an exceptionally special night on November 12, 2016, which was captured by Patric Ullaeus from rEvolver Film Company AB. Preceding the landmark event, fans were also treated to a live performance of EUROPE's latest album, "War Of Kings", a release which re-established EUROPE as one of the top classic rock bands in the world. 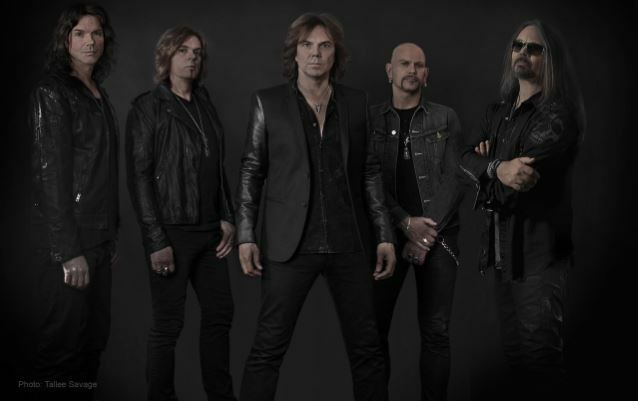 EUROPE singer Joey Tempest in a statement: "What an awesome night! It was more enjoyable than we thought to revisit the whole 'Final Countdown' album live! On top of that, to be able to share our whole 'War Of Kings' album with this amazing audience the same night just made this show one of the most memorable nights of our career!" * A 12-inch-sized boxset, limited to 1,000 units, will also be available in September. It will contain the Blu-ray/2CD configuration, a double gatefold vinyl with only "The Final Countdown" portion of the concert, a 40-page 12-inch-sized hardcover photo book, a vintage replica scarf and a laminate/guest pass. EUROPE recently finished recording its new album for an October release. The follow-up to 2015's "War Of Kings" was laid down at London, England's legendary Abbey Road studios and was produced by Dave Cobb, who also helmed the band's last disc.